Costume time isn't just reserved for once a year on Halloween. Nope, no way, no sir! Any fun time can be costume time, and even your downtime can be lightened up with some costume style. And when it comes time for your kids to have a little fun around the home, there's a pretty nifty way for them to relax and play as a fun and delightful cartoon character. All they're going to need is a Comfy Critters blanket! These versatile blankets are part-toy, part-costume, and totally comfy! 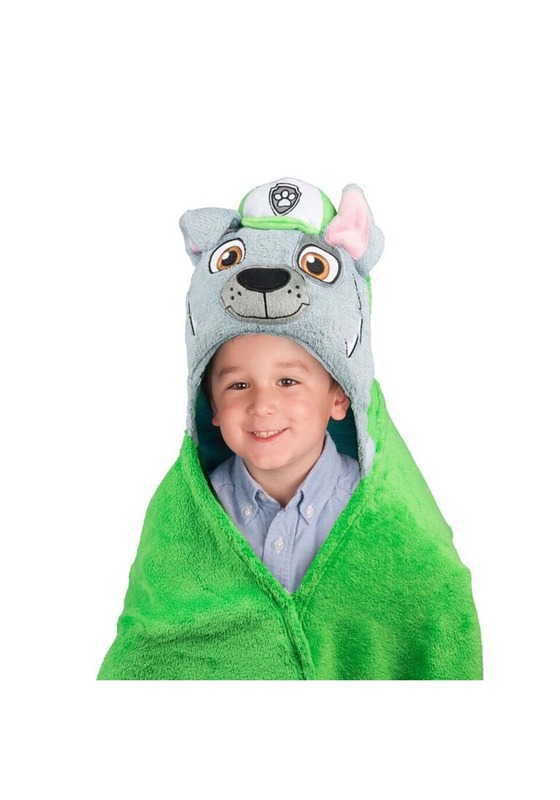 That's because they're character blankets, complete with costume hoods and vibrant details. And, they even come styled like the characters kids love. Like the Paw Patrol! 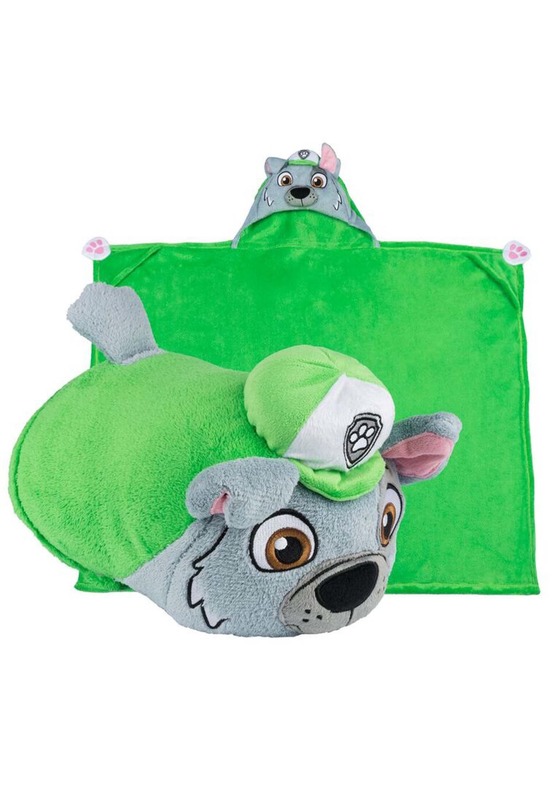 This Rocky Comfy Critter blanket is styled just like the rescue pup from the smash hit Nickelodeon show Paw Patrol, and when it's bundled up, it makes for a fun friend around the home. But when unwrapped, it makes for a comfy and cozy blanket wrap. Is it TV time in the afternoon? Or maybe play time with the neighborhood friends? Or maybe there's the need for a heroic eco pup to save the day? Call on Rocky! The lovable Paw Patrol character will be a welcome addition to any kid's day, whether it's for fun and imagination, or just some cozy relaxing. Looks just like Rocky, my sons favorite. Soft and easy to fold up.